Self inflating tyres now available at Dorvics Cycles. You’ve heard about run-flat tyres on cars and now you can have them on your bike. 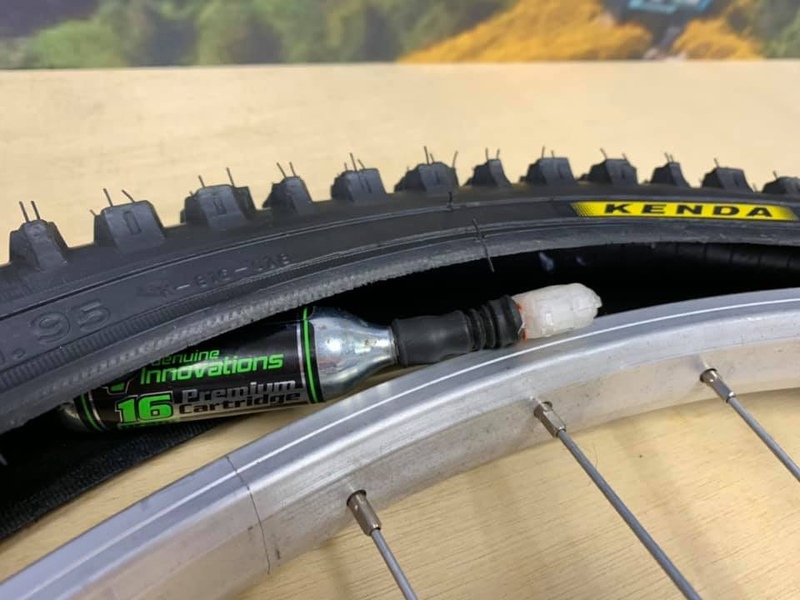 Never have to worry about a puncture again, simply ask our technicians to insert the gas cartridge and special release valve into your tyre and have worry free cycling. If you get a puncture the Flush Open Operating Loop in the tyre will trigger the valve to open and fill your tyre with fresh April air. Book your bike in now at www.dorvicscycles.co.uk and quote the code: Aprilair for a special deal….